From the last few days, many of the candidates are asking regarding the salary package of Uttar Pradesh Police. So here though this article we are providing you the complete UP Police Pay Scale 2019 - 20 of SI, Constable, Inspector, and other posts. The candidates appointed for UP police post will be offered an attractive salary package as per the norms. Along with the salary individuals also get other benefits like TA, HRA, food allowance etc. Many of the individuals find difficulty in downloading the UP Police Salary Slip so for the convenience of such individuals we have provided the step to step guidelines to download the Salary Slip. Apart from this Salary structure of UP Police as per the 7th pay commission has been also provided below in tabular form. 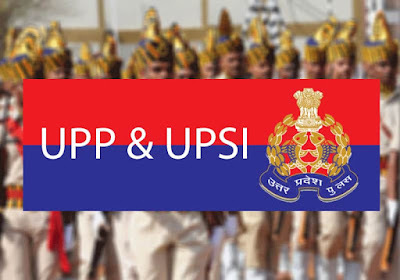 So scroll down the page and check all the updated information regarding UP Police Pay Scale 2019 - 20. As soon as you hit a page will be opened at your screen where you have to enter Personal Number, Month and Year. Now press the “Show Report” button. As soon as you hit the said button yours UP Police Nominal Roll Salary will appear at your screen. Finally, take a printout of UP Police Constable Salary Slip for future reference.